One of the fastest-declining groups of animals, reptiles and amphibians, cannot be conserved without conserving their habitat. Being such, in 2012, The Orianne Society partnered with Warren-Wilson College to identify crucial habitat for reptiles and amphibians called Priority Amphibian and Reptile Conservation Areas (PARCAs)–think Important Bird Areas–in the states of Alabama, Georgia, Florida, North Carolina and South Carolina. Once the PARCAs were outlined, we needed to survey these areas on the ground to determine if they did indeed support high densities of herpetological diversity or rare species. The Orianne Society has long been interested in Citizen Science. For those of you unfamiliar with this term, Citizen Science is the participation of the general public in data collection for scientific research. Citizen Science accomplishes many things: it allows for greater education outreach about the project, it engages the public to give them a sense of ownership of the project, and it allows for faster and wider-spread data collection. It was with this in mind that we created the Places You’ve Never Herped event series. These Citizen Science events are more than just a friendly field herping expedition–they are invaluable to our organization by maximizing our data collection efforts for various research projects. It helps that they are a very good time! So a few months ago we put out a call for help from our friends to survey an area in North Georgia outlined as a PARCA, and the help we got, in the form of the 2nd Places You’ve Never Herped, took place June 15th and 16th! Over 40 participants ranging in age from 8 to 60 showed up to the Tallulah Gorge area ready to get dirty and hunt for some herps. We had some seasoned herpers and some newcomers to the field, but everyone was eager to start hunting herps! The event started off by participants breaking up into three teams, led by team leaders and Orianne Society staff Steve Spear, Javan Bauder and Kevin Stohlgren. As this was hosted as a herping competition, each team had to come up with a name; Team Winners (Spear), Team Mediocre (Bauder) and Team Shady (Stohlgren)–trust me, we didn’t pick the names, they did! Each group was given some instruction and safety information, and we were off to survey streams, wetlands and uplands! Though it was very close, there could be only one winning team–for the 2nd Places You’ve Never Herped event in the Tugaloo PARCA, that distinction goes to the aptly-named “Team Winners”! The entire group found 37 different species in two days of herping and had a great deal of fun in the process. We hiked miles, climbed mountains, waded streams and sunk in wetlands looking for these precious gems we call herps, all while making some great memories. Brock found a Green Salamander in some high up rock outcrops before we lost him for a bit, Kevin forgot his boots and had to herp in flip flops, Noah found a Copperhead by the meeting place parking lot three minutes after the event was over, every one of The Orianne Society staff forgot to bring a snake hook, the North Carolina State Herp Club found the only Timber Rattlesnake, and EVERYONE was muddy, tired and satisfied that they had done something good for reptile and amphibian conservation. In the end, “who won” didn’t really matter. What did matter is that like-minded people, people who care about reptiles and amphibians, got together and enjoyed a wonderful couple of days in a beautiful place doing something they love: looking for herps! We met some new people, got to reconnect with old friends and did our part for conserving herps. The data collected during this event is extremely valuable in determining whether the herpetological diversity within the area surveyed was high enough that it should be considered a priority for land conservation. 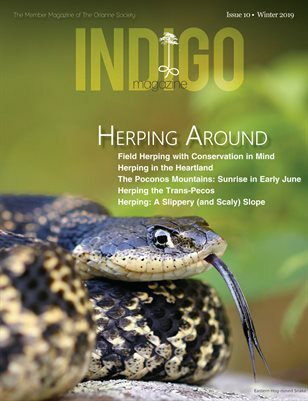 We can’t wait for the 3rd Places You’ve Never Herped event which will be a night herping excursion at the Bladen Lakes, North Carolina, PARCA on August 2-3, 2013. So if you missed this one but want to contribute to reptile and amphibian conservation and fulfill your competitive nature at the same time, be sure to join us then! Find out more and sign up here. We can’t wait to see you there!